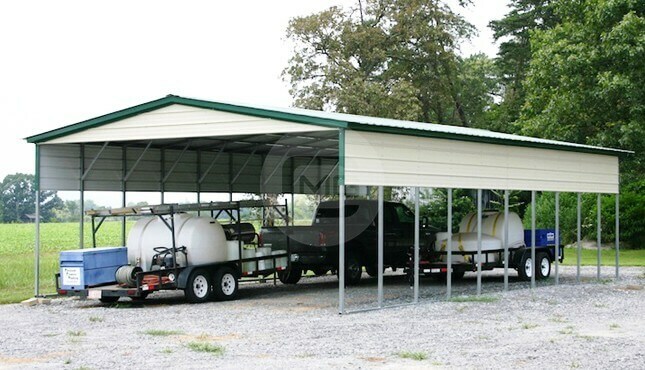 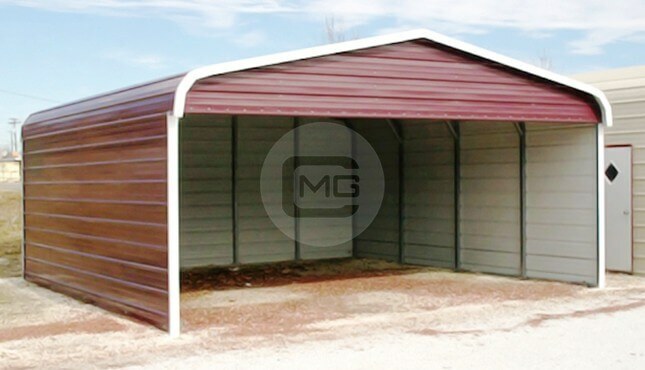 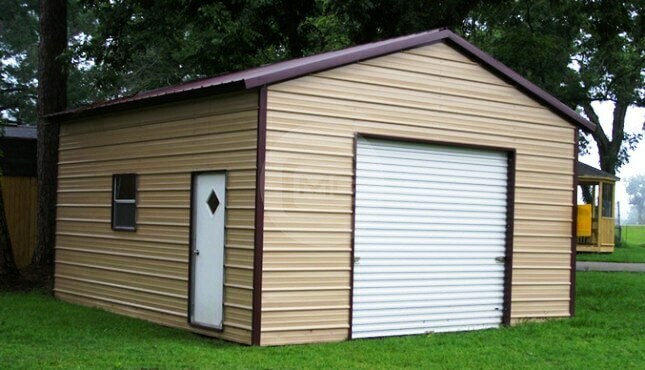 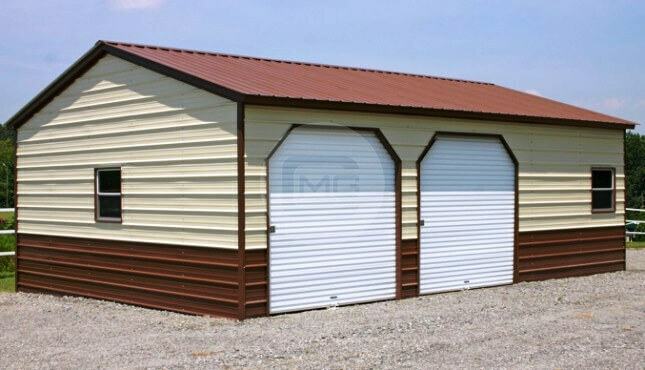 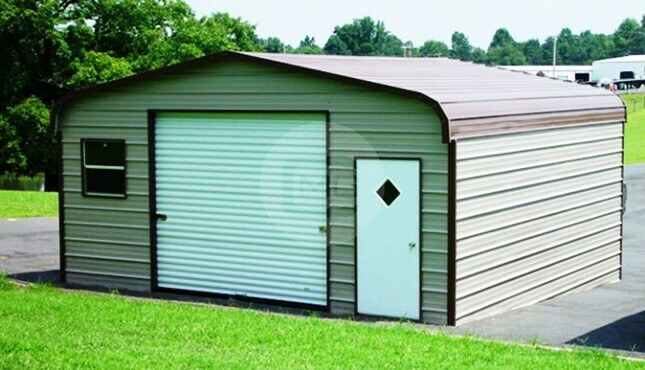 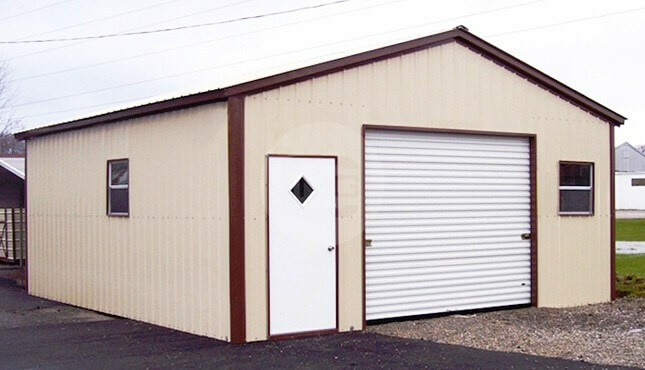 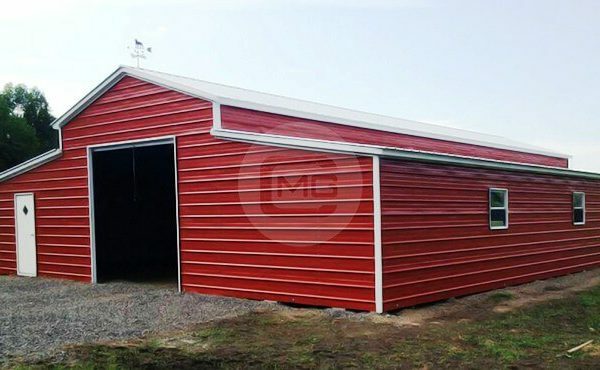 Vertical Roof Enclosed Carolina Barn, 18’W x 41’L x 12’Ht. 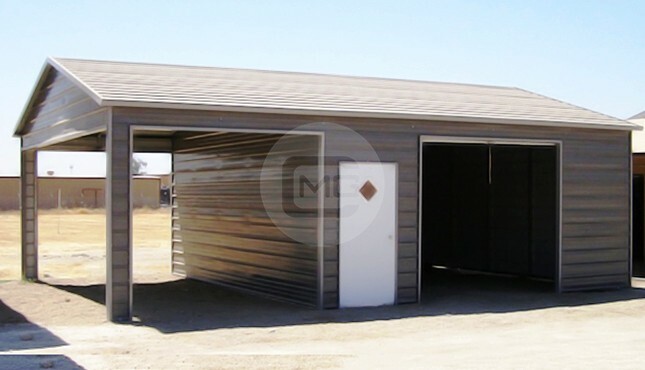 Primary Building, with (2) 12×10 Garage Door Frame outs on each end. 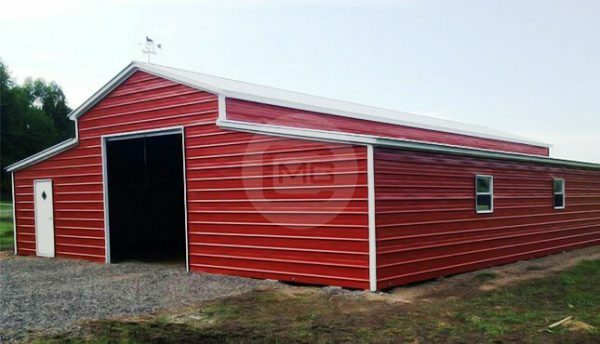 (2) 12’W x 41’L x 8’Ht. 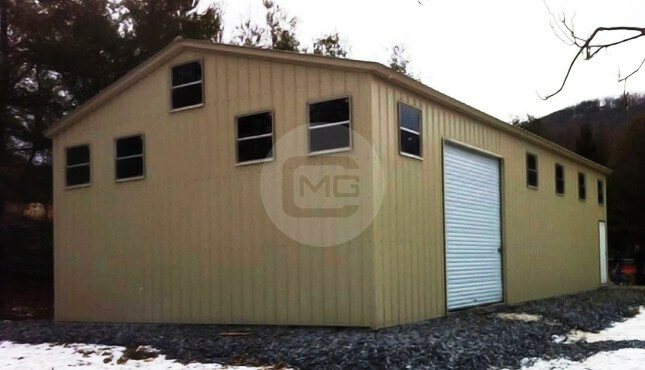 Lean-to’s with ((1)36″x80″ Walk In Door and (6) 30″x30″ windows.